Kodija scores another early goal for Aston Villa but battling Burton keep up hopes of staying alive in the division with a point. Villa’s minimal chances of an outside play off place were thwarted by a determined Burton desperately in need of points, any point as they drew one apiece at Burton’s Pirelli stadium. It’s fitting that Burton’s ground is called the Pirelli stadium because Aston Villa did look tired throughout the match and the home side came from behind to improve their hopes of avoiding relegation with a draw that hampers Aston Villa’s late Championship play-off push. Villa looked set for an eighth win in nine games when top scorer Jonathan Kodjia scored his 19th Championship goal of the season in the third minute. But former Villa youngster Lloyd Dyer, who also used to play for West Brom and Birmingham, levelled after 61 minutes. He latched onto Kyle McFadzean’s angled pass to fire home a searing drive. 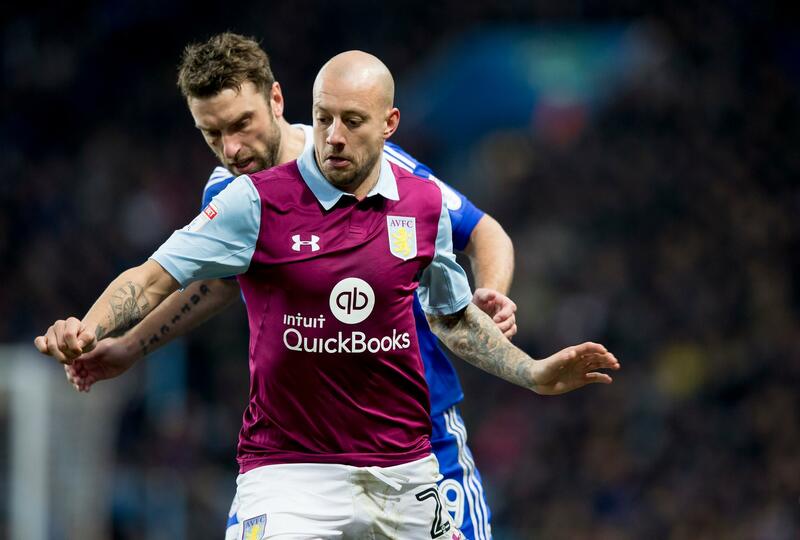 The equaliser had been coming and after nearly 450 minutes of Villa not conceding, Dyer fired in to level the scores as Villa’s defence appeared to stop. Bruce immediately introduced Jack Grealish and Conor Hourihane but it made no difference and now Villa must look to next season as their play-off hopes were ultimately extinguished with this draw. To even be talking about that seems incredible after that horrendous Villa winter when nothing went right and nothing went in. As for Nigel Clough’s team? That equaliser lifted Burton five points clear of the relegation zone, while Steve Bruce’s Villa are now 11 points adrift of the top six with five games to play, thanks to Sheffield Wednesday’s win over title-chasing Newcastle. Villa remain in 11th position. Villa took the lead when Ivory Coast international Kodjia – a winner at the Pirelli Stadium with former club Bristol City in August – swooped on a poor pass from Burton defender Ben Turner to race in unchallenged and slot past goalkeeper Jon McLaughlin. Since Kodija’s signing in late August, Villa have netted 38 times in the Championship, of which the Ivorian has now netted 19 of those and that includes him missing five games because of his involvement in the African Cup of Nations. But the visitors’ key player limped off with a dead leg on 36 minutes, to be replaced by Scott Hogan, and they failed to press home the advantage and Villa were wasteful at times. In fact with Kodija out of it, Villa’s threat was dampened and Burton got back into the match. Burton had bags of set pieces but couldn’t muster anything with them and although they deserved a draw they got it with their only on target shot of the game. Burton’s Marvin Sordell glanced a header just off target early in the second half before Dyer deservedly equalised with his sixth goal of the season – only the second goal Villa have conceded in their past nine games. Brewers substitute Lucas Akins fired just wide late on, while Villa went close through Jordan Amavi, and the home side also had to be thankful to Turner at the end, when the defender made two crucial clearances. A draw was a fair result for both teams in the end. Burton will be happy with a point and Villa will be admiring the holiday brochures. Bradford or Barbados Steve?